Mavis Jeeter is fearless and bold, but she has never lived in one place long enough to have a real best friend. Her flighty mother has uprooted them again to another new home and taken a job as a housekeeper for the Tully family. Mavis wants this home to be permanent—which means finding herself a best friend. Rose Tully is a worrier who feels like she doesn’t quite fit in with the other girls in her neighborhood. Her closest friend is Mr. Duffy, but he hasn’t been himself since his dog died. Rose may have to break a few of her mother’s many rules to help Mr. Duffy—and find someone who really understands her. Henry has run away from home, but he craves kindness and comfort—and doesn’t know where to look for them. 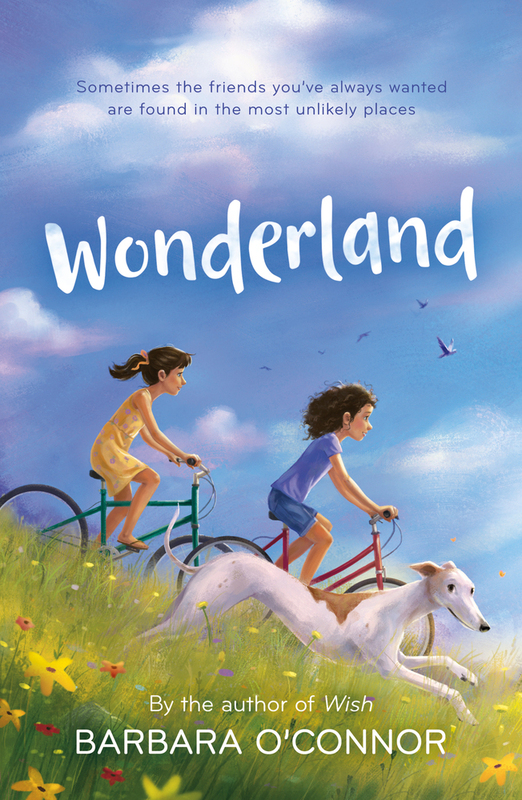 When Mavis and Rose hatch a scheme to find Mr. Duffy a new dog, their lives and Henry’s intersect—and they all come to find friendship in places they never expected. Mavis Jeeter sat on the bus stop bench beside her mother and whispered goodbye to Hadley, Georgia. She took a deep breath and let out a big, heaving sigh to send a signal to her mother that she was tired of saying goodbye. Barbara O'Connor was born and raised in Greenville, South Carolina. She has written many award-winning books for children, including Wish, How to Steal a Dog, and The Fantastic Secret of Owen Jester.